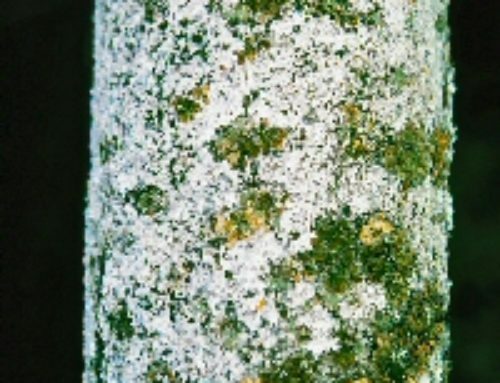 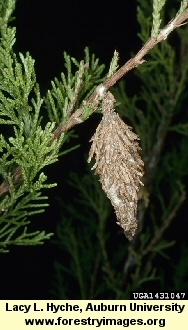 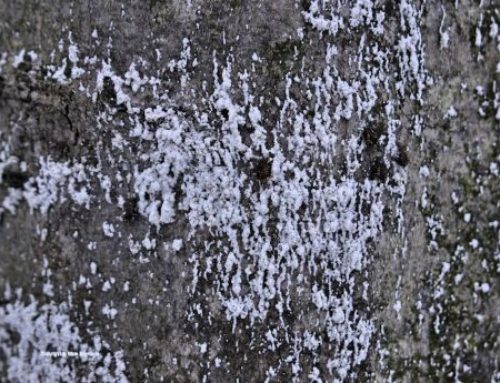 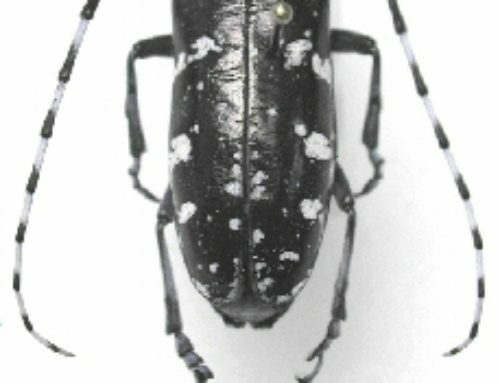 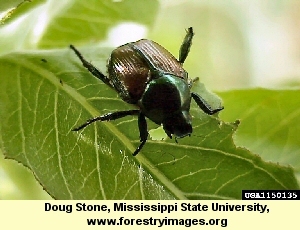 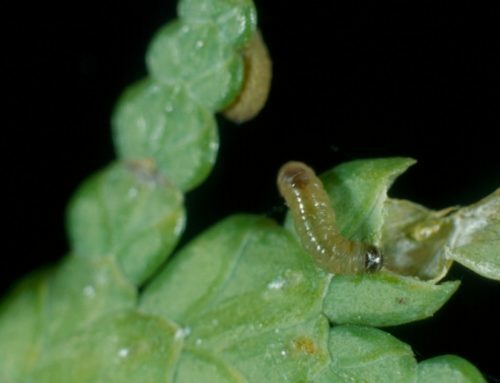 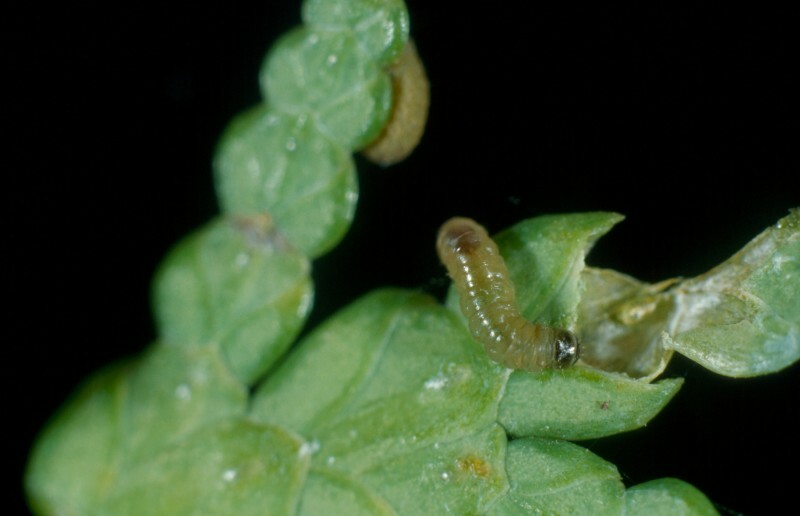 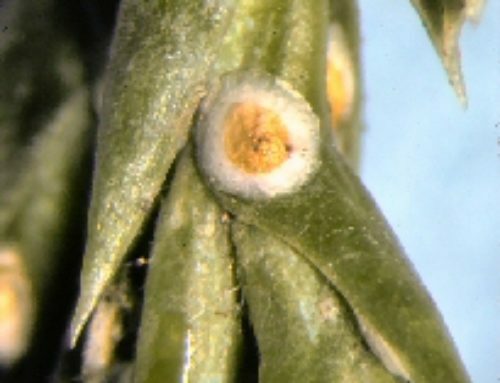 Armored scales that injure host plants by inserting their threadlike, piercing-sucking mouthparts into needles and withdrawing vital nutrients necessary for plant growth from mesophyll cells. 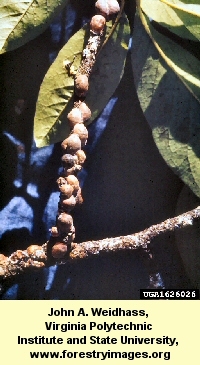 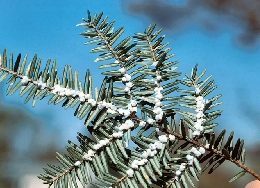 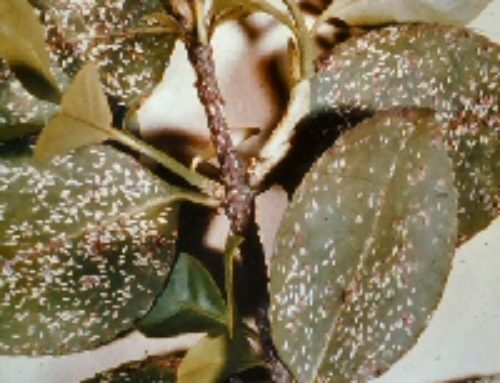 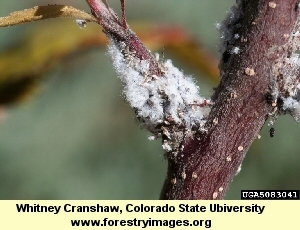 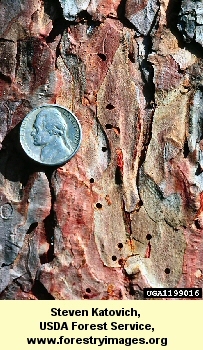 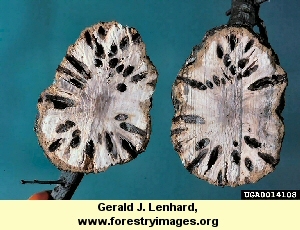 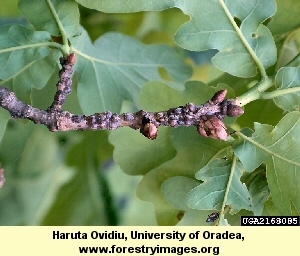 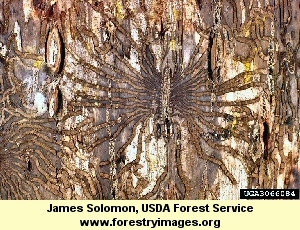 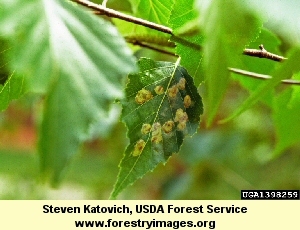 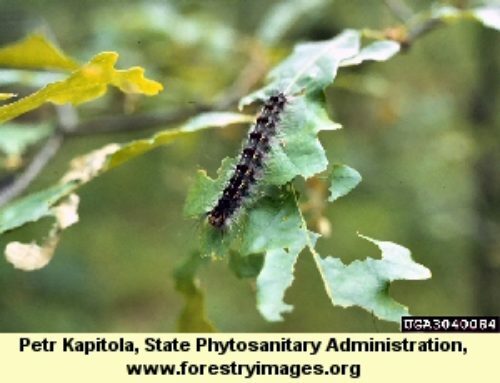 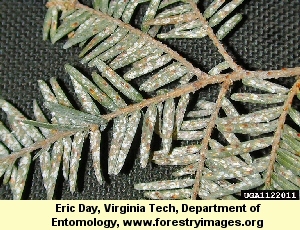 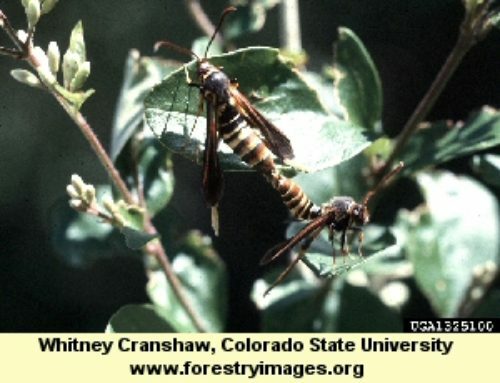 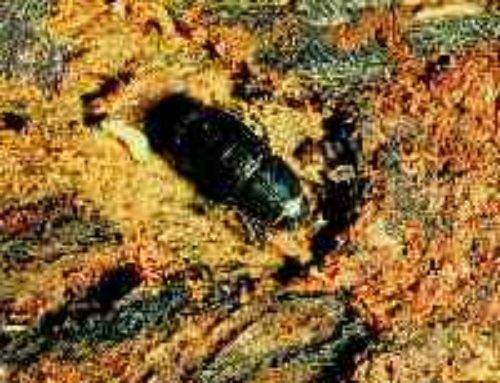 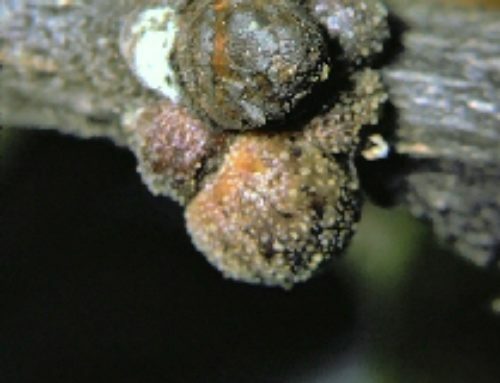 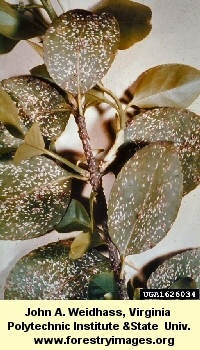 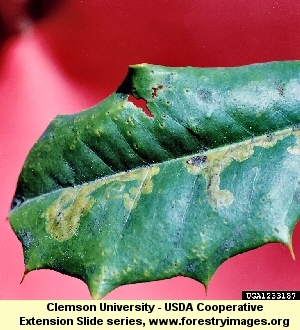 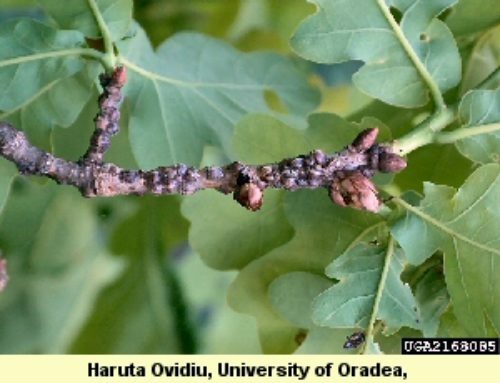 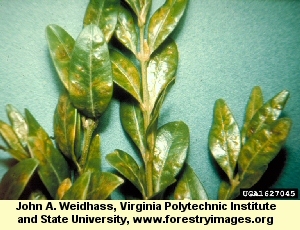 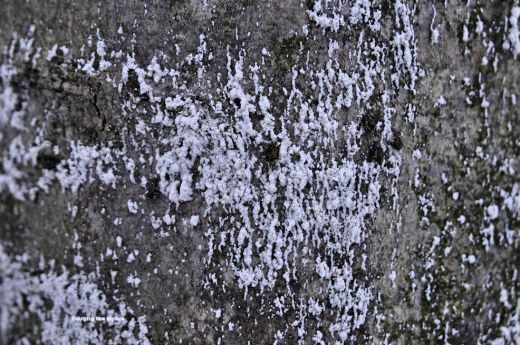 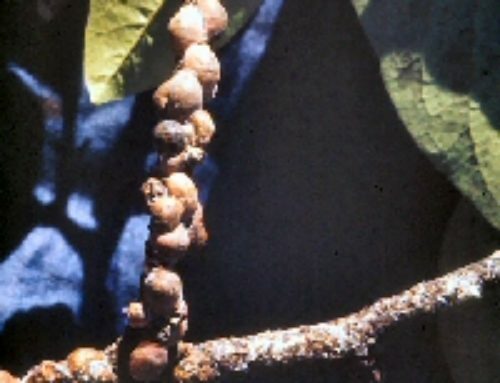 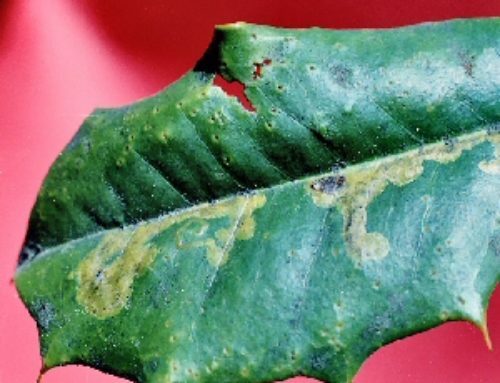 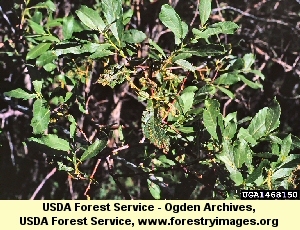 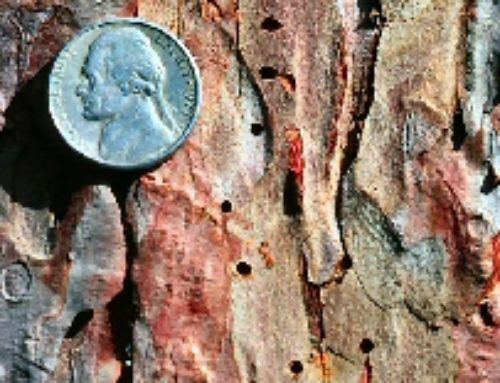 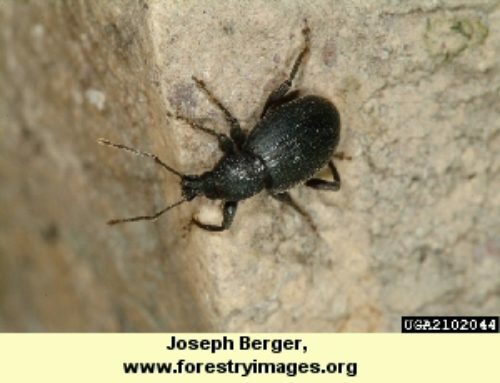 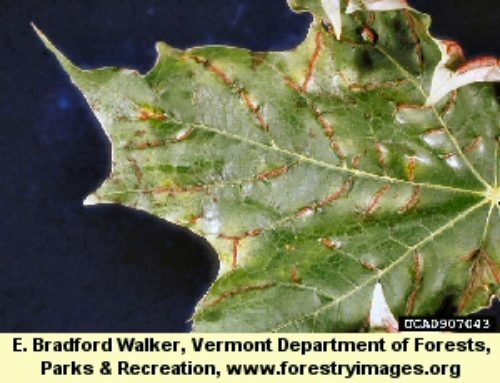 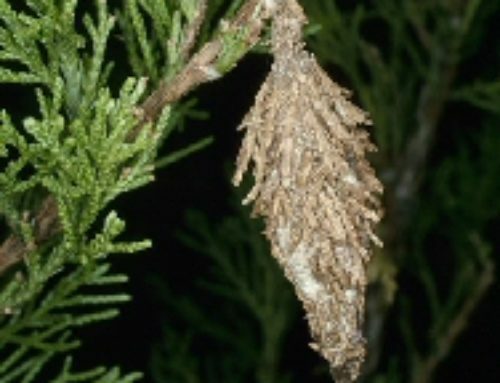 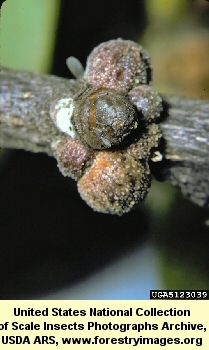 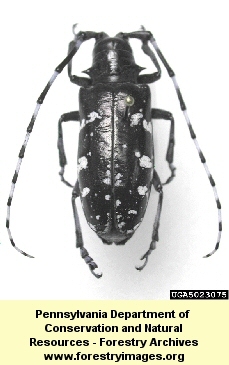 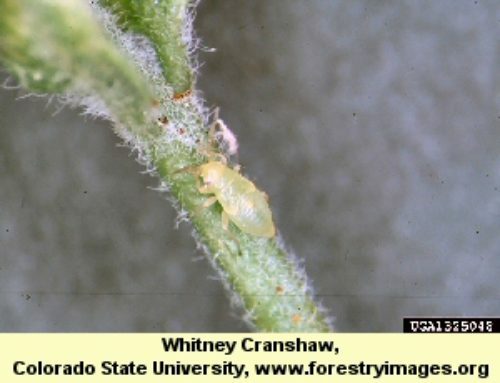 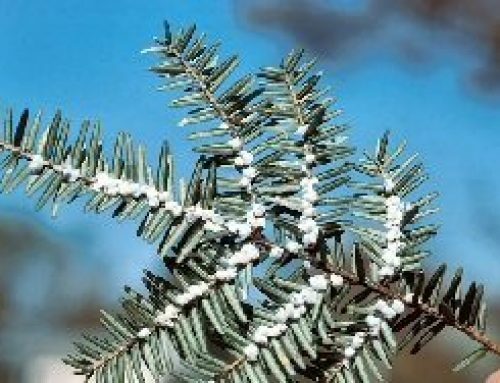 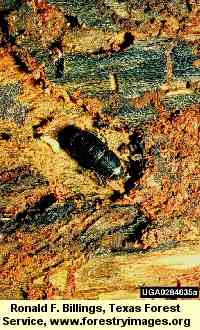 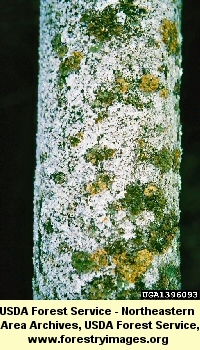 Armored scale insects do not feed on the contents of vascular cells. 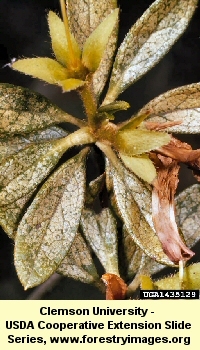 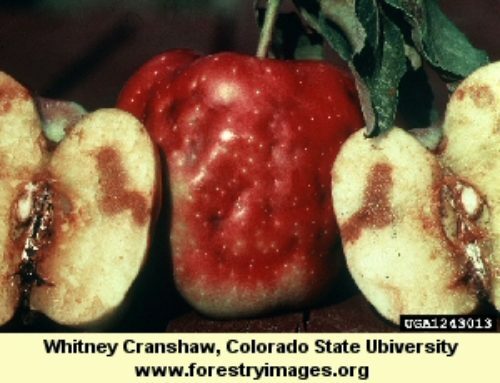 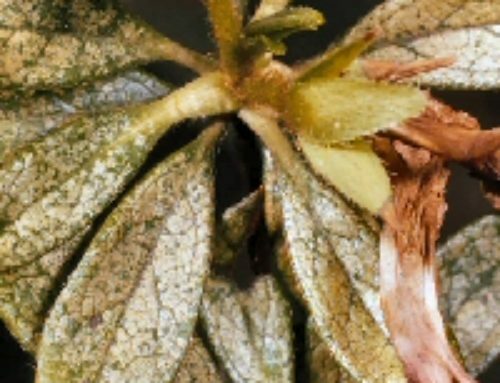 Excessive loss of plant fluid reduces the growth and health of the plant. 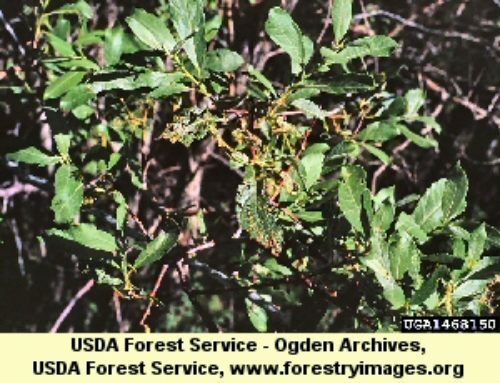 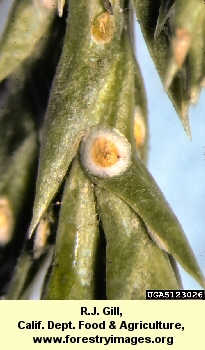 Feeding injury causes needles to develop yellow banding on the top of infested needles. 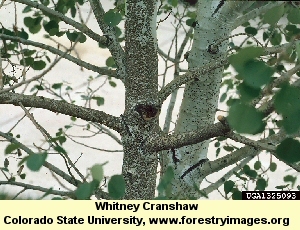 This injury causes needles to drop prematurely giving the crown of an infested tree a thin appearance. 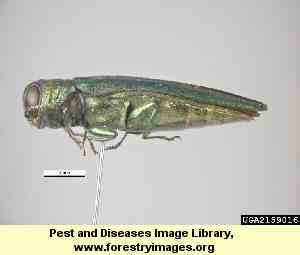 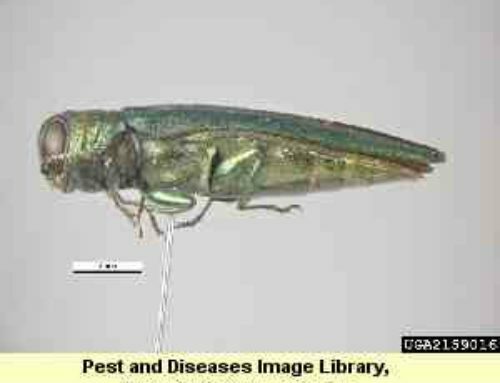 Spray treatments recommended.